Use: Apply skin areas you wish to keep ‘Youfull’! Suitable for most skin types. Use within 3-6 months of opening. 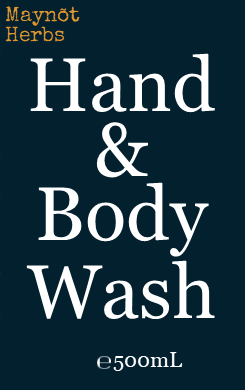 Open with clean dry hands. Store capped in a cool, dark place. 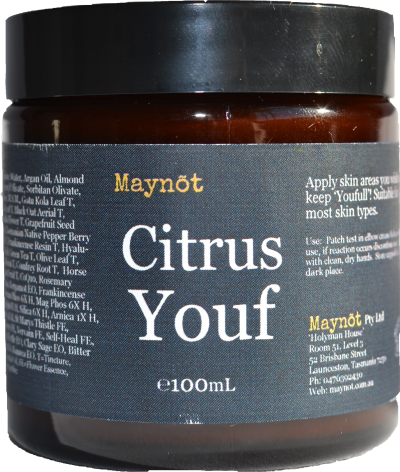 Ingredients: Water, Argan Oil, Almond Oil, Olive Oil Based Emulsifying Wax, Vegetable based Vegetable based Glycerine, M.S.M., Gotu Kola Leaf, Gingko Leaf, Black Oat Aerial, Calendula Flower, Grapefruit Seed Extract, Tasmanian Native Pepper Berry & Leaf , Frankincense Resin, Hyaluronic Acid, Green Tea, Olive Leaf, Myrrh Resin, Comfrey Root, Horse Chestnut Fruit, Co-Enzyme Q10, Rosemary Oleoresin, Bergamot EO, Frankincense EO, Ferrum Phos 6X, Mag Phos 6X, Calc Sulph6X, Silica 6X, Arnica 1X, Aconite 1X, St Marys Thistle FE, Blackberry FE, Vervain FE, Self-Heal FE, Lemon Myrtle EO, Clary SageEO, Bitter Orange EO, Kunzea EO.